Asset allocation: Signing radios in and out of a store room and allocating a specific Radio ID to a user. The User Verification feature in Capacity Max could be a good candidate here. Access control: a door can only be opened by holding the radio to the reader. Guard Tour Monitoring: to ensure a security guard completes his/her rounds, RFID readers can be placed at various locations. Guard Tour Monitoring is also possible via Bluetooth 4.0 (if available). There are also a number of Motorola Authorized Application Providers who have tried and tested solutions available. 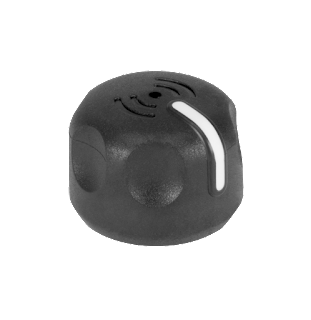 The RFID tag within the knob complies with ISO/IEC18000 - EPC Class 1 Gen2. The frequency range is 866-868MHz. The tag has a read range of up to 1m. The tag has a unique pre-pgogrammed EPC (Electronic Product Code) which could be tied to the radios serial number in your database. My former colleagues from Zebra have readers that will work perfectly here. Would this work on the DP4801 (without an 'e')? Yes, it will. The RFID knob is not dependent on the hardware inside the radio - only on the volume pot. shaft dimensions. What is the part number of the tool required to remove the standard volume knob and replace with this (DP4801)? What are bursts and frames in MOTOTRBO?